Michael P. Rogan handles mergers and acquisitions, securities regulation, corporate governance and corporate finance matters. He is experienced in Securities and Exchange Commission issues (having served five years on the staff of the SEC) and provides corporate and securities law advice to a number of public companies on an ongoing basis. Mr. Rogan represents electric and gas utilities, diversified energy companies and private investment funds, as well as U.S. industrial and financial service companies. In the mergers and acquisitions context, Mr. Rogan has advised bidders, targets and investment bankers in U.S. and cross-border transactions, as well as friendly and hostile situations. He is experienced in asset acquisitions and dispositions (including electric utility restructurings), proxy contests, spin-offs and joint ventures. Mr. Rogan also has an active corporate governance practice and regularly advises boards of directors with respect to governance matters. In this context, he advises board committees, including audit committees, with respect to compliance matters and internal investigations. Mr. Rogan joined Skadden in 1980 and became a partner in 1984. From 1994-2009, he served as head of the Washington, D.C. office Corporate Group and, from 1998-2009, he was the leader of the firm’s Washington, D.C. office. From 2009 to July 2013, Mr. Rogan served as co-head of the firm’s Global Transactions Practices. ViroPharma Inc. in its $4.2 billion acquisition by Shire Pharmaceuticals Holdings Ireland Limited. Mr. Rogan repeatedly has been selected for inclusion in Chambers USA: America’s Leading Lawyers for Business, The Best Lawyers in America and IFLR1000. He also was included in Chambers Global: The World’s Leading Lawyers in Business 2014. 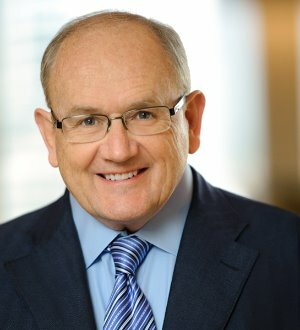 Mr. Rogan was featured as a “Dealmaker in the Spotlight” in the June 2010 issue of The American Lawyer, which highlighted his advice on significant deals in the energy sector.